Guzman unsuccessful in bid to become first Maui Mayor of Filipino ancestry. Incumbents win in many races. 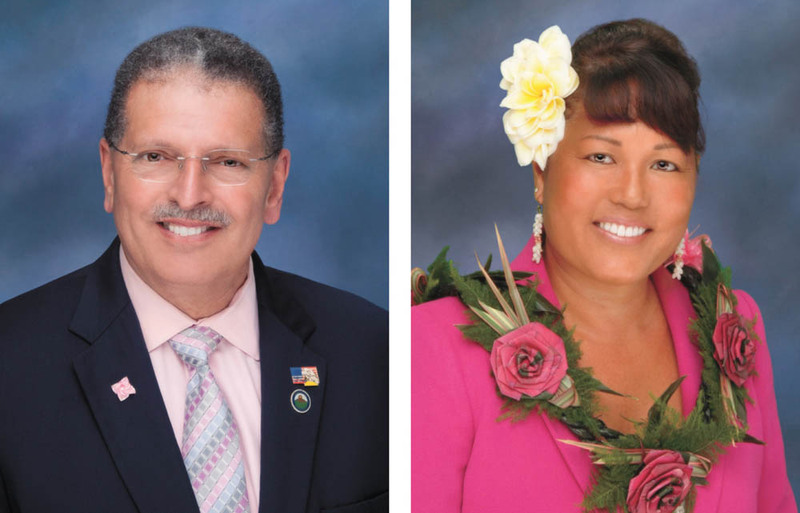 The two top vote-getters in the primary election for Maui county mayor, Michael Victorino and Elle Cochran, will be moving on to the November general elections on November 6. 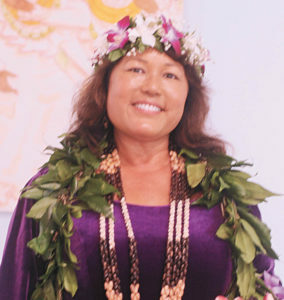 Elle Cochran dressed in royal purple and was donned with an elegant maile lei during the August 11 election evening readings. She is shown here smiling for a photo op at her base camp located in Wailuku. The highly touted race for Maui Mayor in the November 6 general election will feature former Wailuku Councilman Michael Victorino and current West Maui Councilwoman Elle Cochran. Current Kahului Councilman Don S. Guzman, who was hoping to be the first elected Maui Mayor of Filipino ancestry, came in third in the seven person primary contest. Victorino led from the first report with an early lead of 3,262 votes over Cochran but with Guzman trailing Cochran by only 574 votes. The final Maui printout came in at 12:40 a.m., with Victorino garnering 13,541 votes (39.8%), Cochran receiving 10,428 votes (30.6%) and Guzman tallying 8,184 votes (24.0%). Victorino bested Cochran by 3,113 votes while the gap between Cochran and Guzman expanded to 2,244. Mayoral hopeful, Councilman Don S. Guzman looked on with Tracie Takatani and Neldon Mamuad on Mamuad’s smart phone after the first reading of the poll results shortly after 6:30 p.m., Sat. August, 11. Mike Victorino was among many of his faithful constituency with copious food and entertainment by the second primary election poll reading. The atmosphere was that of relaxed excitement and positivity as the reading was announced on the big-screen TV monitor that was positioned next to the staging area. A quick review of the precinct reports showed Victorino winning every precinct in Wailuku (District 8), his home area. Victorino also won every precinct in Kahului (District 9) represented by Guzman in the County Council. Cochran showed her strength among voters on Election Day, prevailing in almost all precincts in her home area of Lahaina (District 10), with Victorino only winning the absentee walk-in vote for precincts 10-02 [King Kamehameha III Elementary] and 10-03 [Lahaina Intermediate School] while Guzman won the absentee mail vote for precinct 10-03. Cochran also was favored by Primary Day voters over Victorino in almost all precincts in South Maui (District 11) with Victorino only winning the absentee mail vote for precinct 11-01 [Trinity Episcopal Church by the Sea] and the absentee walk-in for precinct 11-04 [Kīhei Elementary School]. Victorino won almost all precincts Upcountry (District 12 which includes Spreckelsville, Hāli‘imaile, Makawao, Pukalani and Kula) with Cochran winning the walk-in for precinct 12-05 [Kula Community Center], the absentee walk-in for precinct 12-05, and the walk-in for precinct 12-06 [Kaunoa Senior Citizen Center]. In East Maui, Molokai and Lāna‘i (District 13), Cochran won the majority of the precincts: walk-in for 13-01 [Pā‘ia Community Center]; absentee walk-in for precinct 13-01; absentee mail for precinct 13-01; walk-in for precinct 13-02 [Ha‘ikū Community Center]; absentee walk-in for precinct 13-02; absentee mail for precinct 13-02; walk-in for precinct 13-03 [Hāna High/Elementary School]; absentee walk-in for precinct 13-03; absentee mail for precinct 13-03; absentee walk-in for precinct 13-04 [Lāna‘i High/Elementary School]; walk-in for precinct 13-05 [Kilohana Community Center]; absentee mail for precinct 13-05; absentee walk-in for precinct 13-07 [Maunaloa Community Center]; and absentee mail for precinct 13-07. Victorino beat Cochran in only a handful of precincts: walk-in for precinct 13-04; absentee mail for 13-04; absentee walk-in for precinct 13-05; walk-in for precinct 13-06 [Kaunakakai School]; absentee walk-in for precinct 13-06; absentee mail for precinct 13-06; walk-in for precinct 13-07; walk-in for precinct 13-08 [Kualapu‘u Community Center]; absentee walk-in for precinct 13-08; and absentee mail for precinct 13-08. Of the 94,194 registered voters in the County of Maui, only 34,073 voted–36.2%. Almost half—21,123–voted via absentee (including walk-in absentees). Only 12,950 showed up on Primary Election Saturday at the polls. The County of Maui continues to be heavily Democratic, with 29,687 (87%) selecting a Democratic Party ballot while only 3,338 (9.7%) selected a Republican Party ballot. Three hundred forty six voters (1%) selected a Nonpartisan ballot while only 135 (less than 1%) selected a Green Party ballot. Incumbent Gov. 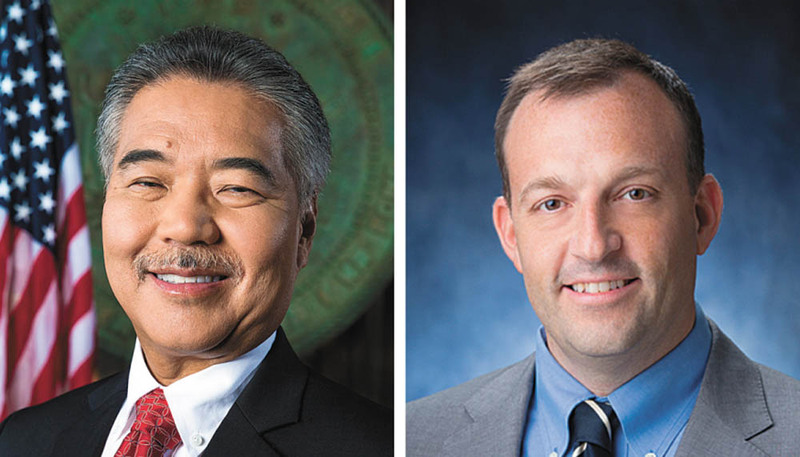 David Ige and Josh Green for Lt. Governor comprise the Democratic ticket for our State’s leaders. Meanwhile, in the State races, the incumbents generally survived. Governor David Ige bested a strong challenge from Congresswoman Colleen Hanabusa. The first printout reported Ige with a small 6,671 vote lead over Hanabusa (55,155 to 48,484) but by the final printout Ige completed his successful rally from a 20-point deficit in the first polls to soundly beat Hanabusa, 124,528 (50.2%) to 107,583 (43.4%)—a difference of 16,945. In the 2014 Primary Election, Ige (with the endorsements of former Governors George Ariyoshi and Benjamin Cayetano) beat incumbent Governor Neil Abercrombie 157,050 (66%) to 73,507 (30.9%). This year, Ariyoshi’s and Cayetano’s endorsement of Hanabusa did not make a difference. Of the living former Governors, only John Waihe‘e III supported Ige. Hanabusa did beat Ige on Maui, receiving 14,175 votes (47.5%) to Ige’s 13,214 (44.5%). Despite Mayor Harry Kim’s endorsement of Ige, Hanabusa narrowly beat Ige on Hawai‘i Island: 17,861 (46.6%) to 17,709 (46.2%). And despite the endorsement of State Senate President Ron Kouchi who hails from Kaua‘i, Ige narrowly beat Hanabusa on Kaua‘i 7,537 (46.1%) to 7,231 (44.2%). Ironically, Hanabusa, a former Urban Honolulu Congresswoman would receive only 68,313 (41.8%) votes on O‘ahu compared to Ige’s 86,068 (52.7%). Four years ago, in her primary race against Brian Schatz for the U.S. Senate seat, Hanabusa received 78,501 (47.6%) votes on O‘ahu to Schatz’ 80,640 (48.9%). In that race, Hanabusa beat Schatz by 220 votes on Maui; beat Schatz by 635 votes on Kaua‘i; and lost to Schatz by 500 votes on the Big Island. Evidently, Hanabusa’s decreasing popularity on O‘ahu did not help her chances against Ige in this year’s gubernatorial primary. Like the Mayor’s race where Filipinos were split between Victorino and Guzman (just drive down Papa, Lono, and Kamehameha Avenues in Kahului and count the number of homes who had both Victorino and Guzman signs), the Filipino community appears to have split between Ige and Hanabusa. Hanabusa had the support of many unions with Filipino membership such as the ILWU Local 142 and the Hawai‘i Laborers Union but Ige countered with the endorsement of the UNITE HERE! Local 5 and several leaders in the Filipino community. In the general, Ige will be paired with State Senator Josh Green, who received 74,819 votes–30.2% while beating State Senator Jill Tokuda (68,107 votes–27.5%), Kaua‘i Mayor Bernard Carvalho, Jr. (45,802 votes-18.5%), former Board of Education member Kim Iwamoto (34,218 votes–13.8%), and former State Senator Will Espero (15,459–6.2%). Tokuda beat Green 52,049 to 42,803 on O‘ahu but lost by 3,175 votes on Maui, 12,807 votes on Hawai‘i Island, and slightly out polled Green (2,851 to 2,827) on Kaua‘i, where Carvalho prevailed on his home island with 7,694 votes. House Minority Leader Andrea Tupola for Governor and Marissa Kerns for Lt. Governor comprise the Republican ticket for our State’s leaders. The Ige/Green ticket will face off against State House Minority Leader Andrea Tupola (17,282 votes) who beat old-timer John Carroll (10,969 votes) and former State Assistant Superintendent of Education Ray L’Heureux (2,883). Tupola will be paired with businesswoman Marissa Kerns. In the first printout, Kerns was losing by 338 votes to Steven Lipscomb while beating Jeremy Low. By the final printout, Kerns received 9,749 votes (29.9%) to Lipscomb’s 9,538 votes (29.3%) and Low’s 8,224 votes (25.2%). The Tupola-Kerns pairing might be interesting as Tupola was granted a three-year Temporary Restraining Order against one of Kern’s ardent supporters, who is the head of the Hawai‘i Republican Action (HIRA). Kerns has called on Tupola to apologize for frequently voting with the Democrats. 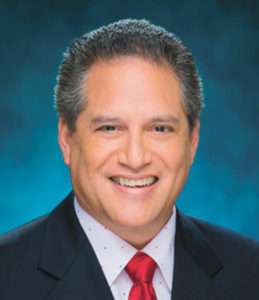 J. Kalani English will be returning to his duties as district 7 State Senator. As expected, Incumbent State Senator Kalani English (Senate District 7-East Maui, Upcountry, Molokai and Lāna‘i) easily beat his two opponents: Michael Tengan and Gayla Haliniak. English received 61.3% of the vote (7,320) while Tengan received 21.3% (2,544) and Haliniak received 7.3% (871). There were no Republicans, Greens or Nonpartisans in the race so English is elected. 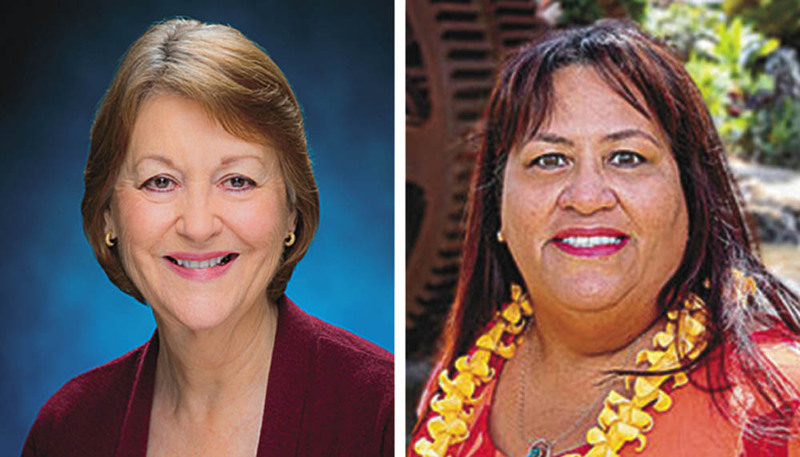 In their primary election rematch from 2014 for Senate District 6 (South and West Maui) State Senator Roz Baker pushed back a spirited challenge from Terez Amato. From the first ballot, Baker held a slight lead of 1576 to 1292 over Amato that diminished to a 106-vote victory in the final printout (3,394 to 3,288; 48.6% to 47.1%). There were 290 blank votes this year. Four years ago, Baker’s margin of victory was 416. In the general, Baker will face Green Party candidate Melissah Shishido who garnered only 29 votes (with 27 blank votes in the Green Party primary). 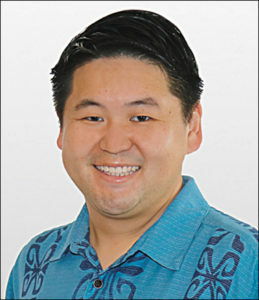 For appointed Representative Troy Hashimoto (State House 8 – Wailuku), the first printout posted an 858-vote lead over his nearest opponent. By the end of the night, Hashimoto had increased his lead and was elected with 3,262 votes (51.8%) over Dain Kane – 2,017 votes (32.0%), Mary Wagner – 439 votes (7.0%), and Justin Hughey – 398 votes (6.3%). 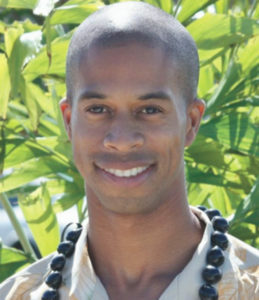 Incumbent State Representative Justin Woodson (State House 9 – Kahului), had an early lead of 629 votes over newcomer Kauanoe Batangan. By the final printout, Woodson had almost doubled that lead and won 59.9% (2,683 votes) to 34.6% (1,549 votes), almost a 2-1 margin. Nonpartisan candidate Andrew Kayes garnered only 28 votes—not enough to qualify for the General Election so Woodson is elected outright. Angus McKelvey, Chayne Marten and Jen Mather will be running off in the November general election for the State House District 10 position. For State House 10 (West Maui), incumbent Angus McKelvey had no opposition in the Democratic primary and received 2,341 votes–78.5% with 642 blank votes (21.5%). McKelvey will face Republican Chayne Marten, who garnered 373 votes (144 votes were blank) and Green party Jen Mather, who received only 32 votes (with 5 blank votes). This will be Marten’s third try at beating McKelvey. On Sept. 17, 2018 Marten will be tried on sexual assault charges. For State House 11 (South Maui) previously held by Mark Kaniela Saito Ing who badly lost (6.1% of the vote) a bid for the Honolulu Congressional seat after committing state and federal campaign violations, Kīhei Ice, Inc. owner Tina Wildberger led from start to finish, increasing her lead over former South Maui Councilman Don Couch from 331 in the first printout to 686 votes in the final printout. In the end, Wildberger received 54.6% of the votes (2,191) to Couch’s 37.7% (1,505 votes) and former UH football scout team member and Army veteran Ollie “Lee” Myrick’s 4.0% (161 votes). Because nonpartisan Daniel Kanahele received only 62 votes, Wildberger is elected outright. In the much anticipated rematch from 2016 where incumbent State Representative Kyle Yamashita (State House 12—Spreckelsville, Pukalani, Makawao, Kula, Kēōkea, ‘Ulupalakua, and Parts of Kahului), survived a challenge from community activist Tiare Lawrence, Yamashita held a small lead (455 votes at the first printout) that decreased to 239 by the final printout, which was delayed because one precinct had not reported. Yamashita prevailed with 3,412 votes (50.5%) to Lawrence’s 3,173 (47.0%). There were 164 blank votes and four over votes. In 2016, Yamashita received 2,763 while Lawrence received 2,411 votes. For State House 13 (Ha‘ikū, Hāna, Kaupō, Kīpahulu, Nāhiku, Pā‘ia, Kaho‘olawe, Lāna‘i, Molokai, Molokini) incumbent Lynn DeCoite beat back her Democratic challenger John-Bull English: 2,864 (55.3%) to 1,924 (37.1%). DeCoite will face Green Party candidate Nick Nikhilananda who received only 25 votes. During the primary election, Maui’s voters had only four County Council races to vote for: West Maui, Kahului, Makawao-Ha‘ikū-Pā‘ia, and Molokai. But the races featured many familiar names—including prior office holders and prior candidates. The other five races had only two candidates in each race and will appear on the General Election ballot along with the four other races: Wailuku (incumbent Alika Atay versus former Councilwoman Alice Lee), Lāna‘i (incumbent G. Riki Hokama versus Gabe Johnson), East Maui (Claire Carroll versus Shane Sinenci), Upcountry (incumbent Yuki Lei Sugimura versus Hannibal Starbuck) and South Maui (incumbent Kelly King versus Zandra Crouse). For some political observers, Mayor Alan Arakawa’s second place finish to Tasha Kama, who previously ran and lost twice against Speaker Emeritus Joseph Souki for the Wailuku State House seat, may be surprising but others have commented that it was not. Kama who garnered 12,703 votes (37.3%) to Arakawa’s 11,775 votes (34.6%) will need to sustain her low-budget campaign against the current Mayor. Deb Kaiwi placed third with 4,515 votes (13.3%) while there were 5,056 blank votes and 5 over votes. Kama beat Arakawa in South Maui, Upcountry, and East Maui-Molokai-Lāna‘i while Arakawa beat Kama in Wailuku, Kahului, and Lahaina. It was no surprise that Tamara Paltin received the most votes for this seat 15,227 (44.7%). Four years ago, Paltin received 18,162 votes in her unsuccessful attempt to unseat Mayor Alan Arakawa. Perhaps the surprise was that ILWU-backed candidate Kanamu Balinbin (whose felony convictions were reported in The Maui News) led Rick Nava by 105 votes at the first printout for second place, only to lose by 175 votes. Nava finished with 5,793 votes (17.0%) to squeak by Balinbin’s 5,618 votes (16.5%) for a chance to defeat Paltin in the General Election. Nava, who was out of town for almost a month during the beginning of the campaign season, has raised little money and has done little campaigning. Former Councilman Mike Molina started with an early lead of 3,560 votes over Trinette Furtado and by the end of the night increased that lead to 4,736 votes. In the end, Molina received 16,368 votes (48.1%) to Furtado’s 11,632 votes (34.2%). Third place finisher Adam Borowiec received 1,011 votes (3.0%). 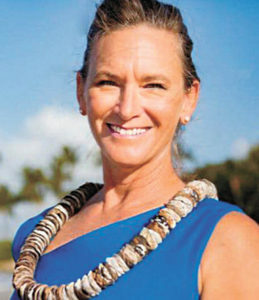 Incumbent Stacy Crivello led by 2,781 votes from the first printout and by the final printout, her lead had increased to 3,541 over her 2016 opponent Keani Rawlins-Fernandez. Crivello ended with 42.9% of the vote (14,599) while Rawlins-Fernandez had 32.5% of the vote (11,058) with Cora Caparida-Schnackenberg coming in third with 3.8% of the vote (1,307). In the 2016 elections, Crivello received 22,763 votes (43.0%) to Rawlins-Fernandez’ 18,496 votes (34.9%). U.S. Senator Mazie Hirono received 201,604 votes and will face Republican Ron Curtis (12,331 votes) in the General Election. Congresswoman Tulsi Gabbard (94,629 votes) crushed her Democratic challengers Sherry Alu Campagna (13,936 votes) and Anthony Austin (4,688 votes). Gabbard will face Republican Brian Evans (12,331 votes) in the General Election. Gabbard won Maui 23,644 (79.6%) to Alu Campagna’s 2,717 (9.2%). Former Congressman Ed Case (47,482 votes) emerged victorious in a field of seven, with current Lt. Governor/Former Attorney General Doug Chin coming in second with 30,283 votes and State Senator Donna Mercado Kim receiving only 21,554 votes. Combined, the other four candidates (Ing, Beth Fukumoto, Ernest Martin, and Sam Puletasi) did not match Kim’s vote total. Case will face off against former state legislator Cam Cavasso (who received 10,552 votes to beat Raymond Vinole’s 2,340 votes) and Libertarian Michelle Tippens who received 150 votes. The nonpartisan candidates Calvin Griffin and John Cipolla did not qualify for the general. The Honolulu City Council will not feature a Filipino majority as former State Senate President Robert Bunda lost to Helen Tsuneyoshi and Hawai‘i Construction Alliance Executive Director Tyler Dos-Santos Tam came in third to incumbent Carol Fukunaga. Both Tsuneyoshi and Fukunaga won outright by capturing more than half of the Primary Election votes cast in their respective races. [Note: Maui does not have the 50%+1 “mercy rule.”] Brandon Elefante, one of the four Honolulu City Council members of Filipino ancestry, faces Kelly Kitashima in the General. In the State Senate, the Filipino caucus will be reduced from six to four with Senator Brickwood Galuteria losing his seat and Will Espero resigning for an unsuccessful run for Lt. Governor. (Donna Mercado Kim was midterm and she did not need to resign her Senate seat to run for Congress.) Republican Tony Solis of “Eh! U Da Kine, Ah?” fame will try to unseat incumbent Michelle Kidani (District 18-Mililani). In the State House, the five member caucus almost lost Representative Romy Cachola (the fourth printout had him losing by ten votes but by the final printout he had eked out a 51-vote victory). Cachola faces Republican Mar Velasco in the General. Former State Representative Rida Cabanilla Arakawa (District 41–Ewa Beach, Ewa Gentry, Ewa Villages, Ocean Pointe) is trying to make a comeback while Rose Martinez (District 40–Ewa Beach, Ewa Gentry, Iroquois Point, West Loch Estate) will try again against Republican incumbent Bob McDermott. Newcomer Hilo Republican Grace Manipol-Larson will try to unseat Democratic incumbent Christopher Todd. 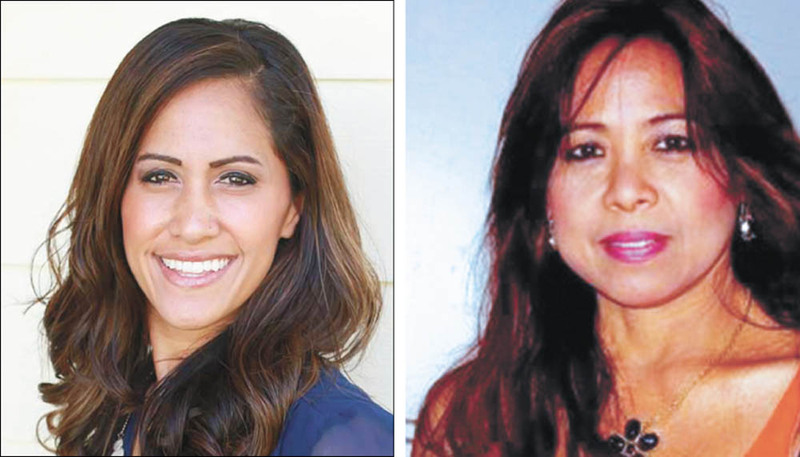 Elaine Daligdig lost in her attempt to unseat incumbent James Tokioka (District 15-Kapa‘a) while newcomer Trish La Chica placed third in the Democrat primary for District 36 (Mililani, Mililani Mauka, Waipi‘o Acres). The Mayor’s race will continue to be the hottest race. “Winning” the primary, however, does not guarantee a General Election victory in November. In the 2010 Mayoral race, incumbent Charmaine Tavares placed first in the primary with 7,313 votes to Alan Arakawa’s 7,041 votes among 11 candidates. But in November, Arakawa won with 24,195 votes to Tavares’ 16,944. 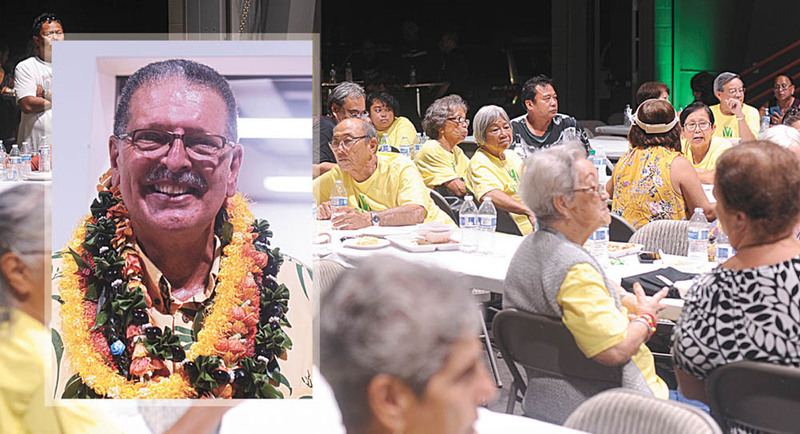 Similarly, in the 2002 Mayoral race, incumbent Kimo Apana received 12,388 votes in the Primary Election with Arakawa placing second with 10,142 votes. But in the General Election, Arakawa beat Apana, 20,887 to 19,784. Voter turnout will be a big question mark. As noted earlier, only 36% of the 94,194 registered voters in the County of Maui voted in the Primary–34,073–with hotly contested Democratic Primaries for Governor, Lt. Governor, State Senate seats for South Maui-West Maui and Molokai-Lāna‘i-East Maui, and House seats for South Maui, Upcountry Maui, Kahului and Wailuku. In 2016, the Primary Election turnout was 29.6% of the 91,138 registered voters or 26,993. In the General Election, turnout was 56.4% of the 93,912 registered voters (52,972), an increase of 25,979 from the Primary Election—over 96%. In 2014, the Primary Election turnout was 33.1% of the 85,581 registered voters or 28,337. In the General Election, turnout was 52.7% of the 87,327 registered voters (46,005), an increase of 17,668 from the Primary Election—over 62%. With the book value of registered voters increasing from 87,327 to 94,194 in four years, the number of primary election voters has also increased from 28,337 in 2014 to 34,073 this year. Will the number of general election voters also increase from 46,005 in 2014 and 52,972 in 2016? The 2016 general election had a presidential race featuring Hillary Clinton vs. Donald Trump. The 2014 general election had many contested races: U.S. Senate (Schatz vs. Cavasso); U.S. Congress (Gabbard vs. Crowley); Governor (Ige/Tsutsui vs. Aiona/Ahu vs. Hannemann/Chang); State Senate 5 (Keith-Agaran vs. Kamaka); State Senate 6 (Baker vs. Dubois vs. Ka‘ahui); State House 8 (Souki vs. Kapo‘i); State House 10 (McKelvey vs. Marten); State House 11 (Ing vs. Brock); State House 12 (Yamashita vs. Pohle) as well as the Mayor’s race and the nine Council races. This year, aside from the Senate and House races, the Governor’s race is not expected to be as interesting as four years ago although the GOP hash tag of #wecomin’ shows some bravado. More important, compared to six State Legislature races in 2014, only three less competitive races remain to be decided in November—State Senate 6 (Baker vs. Green candidate Shishido), State House 10 (McKelvey vs. Marten vs. Mather); and State House 13 (DeCoite vs. Green candidate Nikhilananda). There are no State Legislature races to bring out the Central Maui voters. But the General Election will decide who leads Maui County’s local government. Along with the Mayor’s race, the County Council races will feature clear choices for every race and will be a check on the strength of the ‘Ohana coalition backed by the Sustainable Action Fund for the Environment (SAFE) and their affiliated SuperPacs. ‘Ohana candidates Paltin and Kama led West Maui and Kahului respectively while ‘Ohana candidates Furtado and Rawlins-Fernandez came in second for Makawao-Ha‘ikū-Pā‘ia and Molokai. They will be joined in the general by incumbent Atay (Wailuku), Johnson (Lāna‘i), Sinenci (East Maui), Starbuck (Upcountry), and incumbent King (South Maui). Will non-‘Ohana coalition incumbents Sugimura, Crivello and Hokama hang on? Will Robert Carroll’s popularity transfer to his daughter Claire? Will former councilman Molina who garnered 16,368 votes in the primary–the most of any of the Council candidates—be able to hold off Furtado? Will Arakawa be able to humble himself and change folks’ minds to defeat Kama? Stay tuned… November is just a short ten weeks away. And you thought the sign waving, the mailers, the radio ads, the rallies, the house visits, the phone calls, the newspaper ads, and the Facebook ads were over? It’s just beginning. Oh yeah, after all of that, who will be the new Chair of the County Council? Alfredo G. Evangelista majored in Political Science at the University of Southern California and received his law degree from the University of California at Los Angeles School of Law. His interest in politics began when his late father, Elias Acang Evangelista, brought him to the County Building in 1964 after church. On the day after the Primary Election, Elias wanted to see for himself the handwritten tallies for the Board of Supervisors race involving his favorite candidate, Richard “Pablo” Caldito, Sr., who in 1956 became the first Filipino elected to a County seat in the United States. This primary election, Alfredo wheeled his 93 year old mom Catalina to vote at Maui Waena Intermediate School.